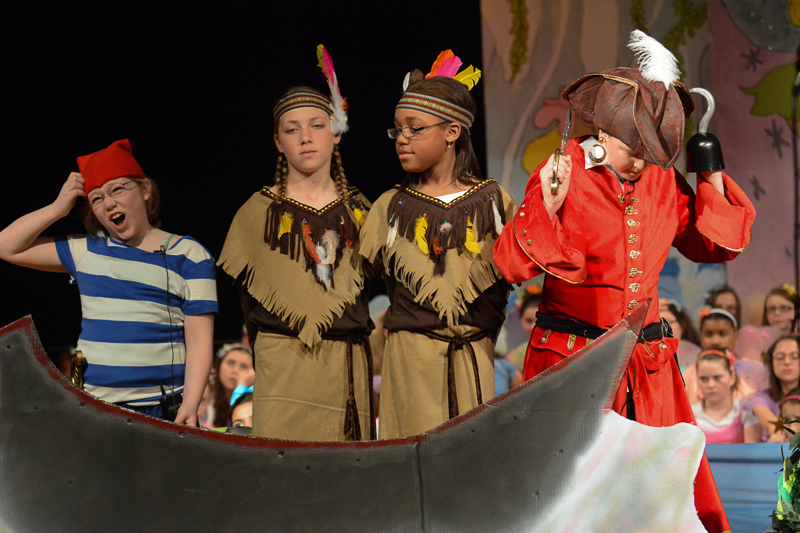 Pleasant Valley Intermediate School’s Musical: Peter Pan, Jr. Pleasant Valley Intermediate School is fortunate to have Ms. Snyder and Mrs. Hicks as teachers. Not only are they very capable and quality teachers, but they put on a spring musical each year that rivals some high school productions! 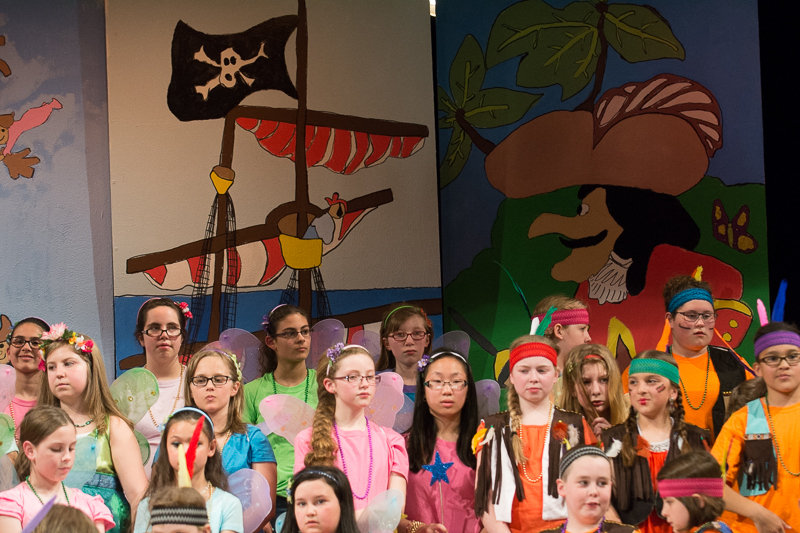 This year’s musical, Peter Pan, Jr. is no exception. The students opened Friday night at PVI and they brought the house down! 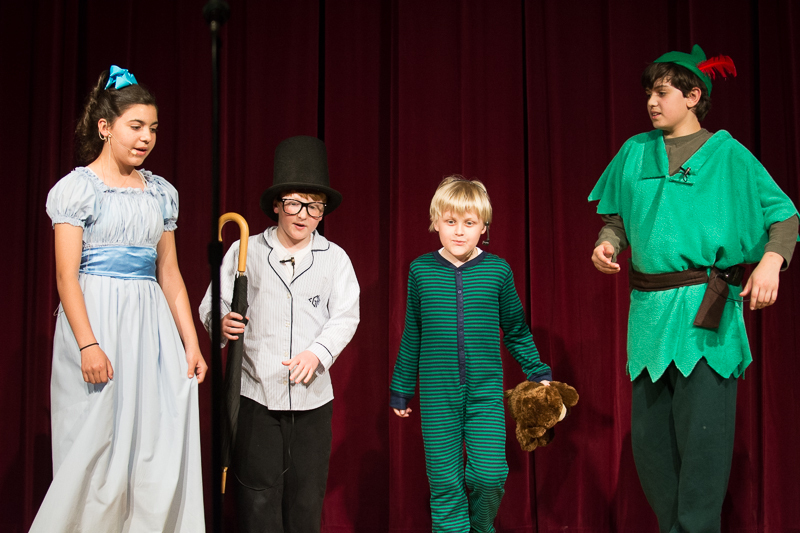 Peter Pan, Tinker Bell, Wendy, Captain Hook, and all the rest took the stage and presented a musical that was entertaining. Parents and guests had the first-hand experience of seeing the talent of these young students. Ms. Snyder and Mrs. Hicks did it again; they prepared their students and the production was sensational! I also had the opportunity to try out the new Nikon D7100 at this performance. Musicals can be quite tricky to photograph because theater lighting is typically spotty. Bright areas and dark shadows are usually only a hair-breath away from each other. High ISO settings are required. My D300 is okay, but I get nervous when I have to push above ISO 1600. Well, enter the D7100! I was told this camera could perform, even at the high ISO settings, and I found out tonight that this is accurate. The photos you see here in this blog entry are all at ISO 3200! Unbelievable! As I was editing my photos earlier, I was struck by how many times I hit the “pick” button in Lightroom because the quality of these photos from the D7100 are so good! Congratulations to Ms. Snyder, Mrs. Hicks, and all their students! If you haven’t seen Peter Pan, Jr. yet, I sure hope you get to attend on Saturday night or Sunday afternoon. You’ll be in for quite a show! Nikon 200-400mm f/4 — My Go-To Lens! Out of the last 21 sports photographs I had published, 16 of them were captured with my 200-400mm f/4 zoom lens. This means that 76% of these published photos were taken by this lens. I knew I wanted this lens over two years ago and even long beforehand. It was my dream lens and I saved for 3 1/2 years to be able to purchase it. The anticipation was almost too much to bear at times! I was sold on this lens by Lennie Rue III and his son, Len Rue, Jr. I read their book, How to Photograph Animals in the Wild. I read and reread this book, but I paid particular attention to all the photographs and with which lens they were captured. Overwhelmingly, a major majority were captured with the 200-400mm lens. I also knew the 70-200mm f/2.8 was working at the time as my primary wildlife and sports photography lens, but it just didn’t have enough reach. The 1.4x extender helped, but it just hardly seemed to be enough. I convinced myself that I needed the 200-400mm lens. Then I started to save my pennies for it! Now, after 1 1/2+ years of use, I can honestly and convincingly say that this was definitely a wise purchase for me. I use it on nearly every shoot and it is my go-to lens for both sports and wildlife photography. I really like the zoom lens because I can compose different shots depending on how far away the subject is from me. This is particularly helpful in baseball. Let’s say that I am on the first-base side of the infield. From this location I can photograph the third baseman, the shortstop, the second baseman, the pitcher, the batter, and the catcher. This is nealry 2/3s of the team! Now these position players are not all at equal distances from my location, but with a simple twist of the zoom barrel, I can compose a pleasing composition on any of these six players. Similarly, I find the zoom feature a great tool in wildlife photography. Patience is the key in wildlife photography. Staying still in one location is often helpful and the zoom lens gets put into a lot of use in this scenario. I typically keep the 200-400m lens on my monopod or tripod. It can be handheld, which I do on occasion, but my preferred method is to mount it on a support. This makes using it a joy rather than a burden. When I am shooting sports, I am almost always on my knees with this lens on a monopod. I rest my left hand on the barrel of the lens and can quickly zoom in or out depending on my need. I always remember: righty tighty to zoom in closer to my subject. The lens is clear, too. The photographs it produces are excellent when printed or shown on a computer screen. It focuses very well, and it even has a memory position to store a select pre-focused location. With the touch of a button, the lens focuses to that memorized distance. This is great for plays at second base, for example. I can be shooting the batter and then quickly press the memory button and the lens is in focus for a play at second base. Sweet! 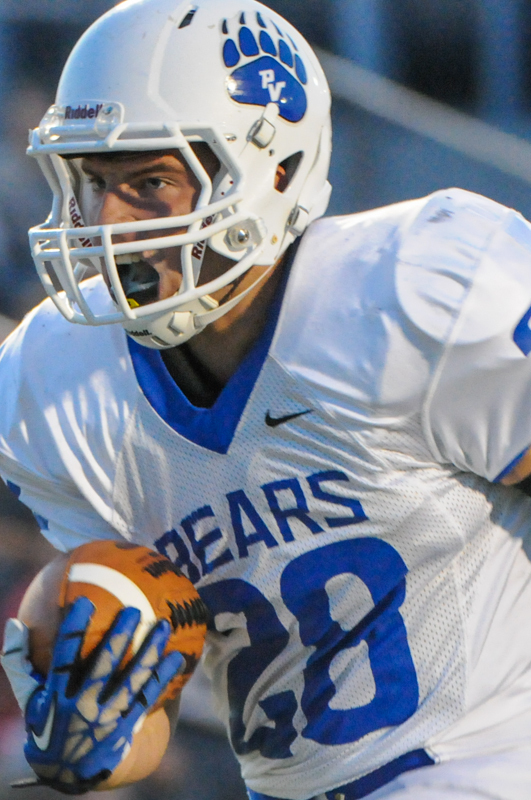 Yep, the 200-400mm f/4 Nikon lens is now my go-to lens for sports and wildlife photography. I am very glad to have it in my lens arsenal!